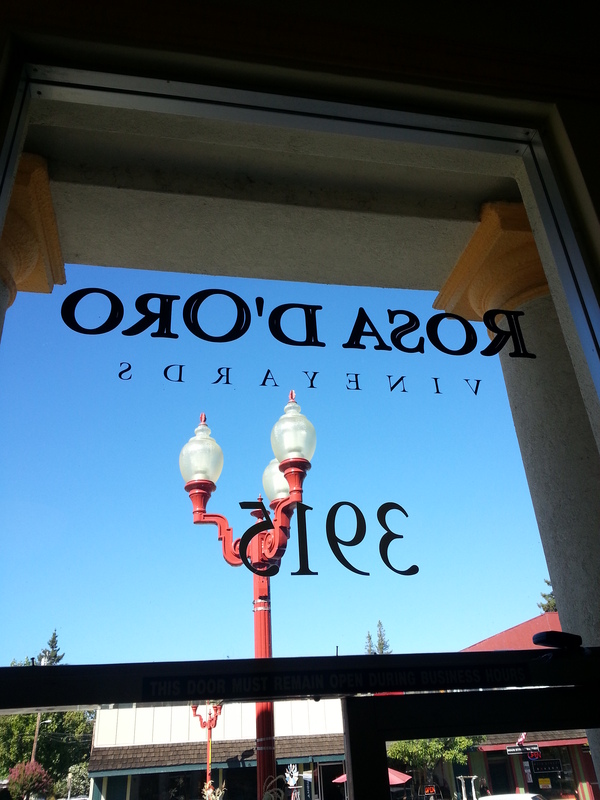 All the best Italian varietals are available at the Rosa D’Oro tasting room in downtown Kelseyville right in front of those cool antique street lights. If you are a fan of these famed grapes, make sure you stop at this family winery for a tasting. Their Rosato has a wild crazy blend of red grapes that give it many layers and a complex texture. It starts with a tangy blend of strawberry and tart cherry with a hint if crisp juicy apple but finishes with a long velvet smoothness. This is a great Summer wine! Sangioveses come in all styles and theirs respects the Italian style with crisp acidity, flavors of tart cherry and even cranberry. Its slight earthiness and hint of leather give it a balanced structure. It would be a terrific pizza wine. Their Barbera screams of black cherry. It is not tannic but has bright acidity that makes your mouth water, literally. Their Montepulciano has big fruit, big earth, and bigger acidity. Its slight green pepper and grassy freshness matches the dark fruit flavors. This wine makes you want to roll around in some high-end cotton sheets. Finally, their Anglianico has big blackberry and mocha flavors with bold blueberry and even some tart cherry. This is a big steak wine. This entry was posted on Saturday, October 12th, 2013 at 7:13 PM	and posted in Lake County, Wine. You can follow any responses to this entry through the RSS 2.0 feed.